Nouveau Night – Long Cliff Vineyard & Winery, Inc. The DeMaison Family invites you to raise a glass to our 2017 growing season and celebrate Autumn’s bounty! Join us Thursday, November 16th for Nouveau Night, when we release the first wine from this year’s Harvest. This brand new wine is made from the first grapes of the season, Leon Millot handpicked by our team September 2, 2017. Light-bodied by nature, it’s exultantly fruity due to the short fermentation period. At it’s heart, however, this young red is about so much more than just how it tastes! In the traditional style of French “Nouveau” wines, it’s about community coming together, cheering on our local farmers, and enjoying the literal fruits of their labor! Intended to be consumed within the first year of bottling, Leon Nouveau makes a great reason to celebrate another year in the vineyard and a bottle on the table at holiday meals gives everyone a chance to reflect on the year we had! 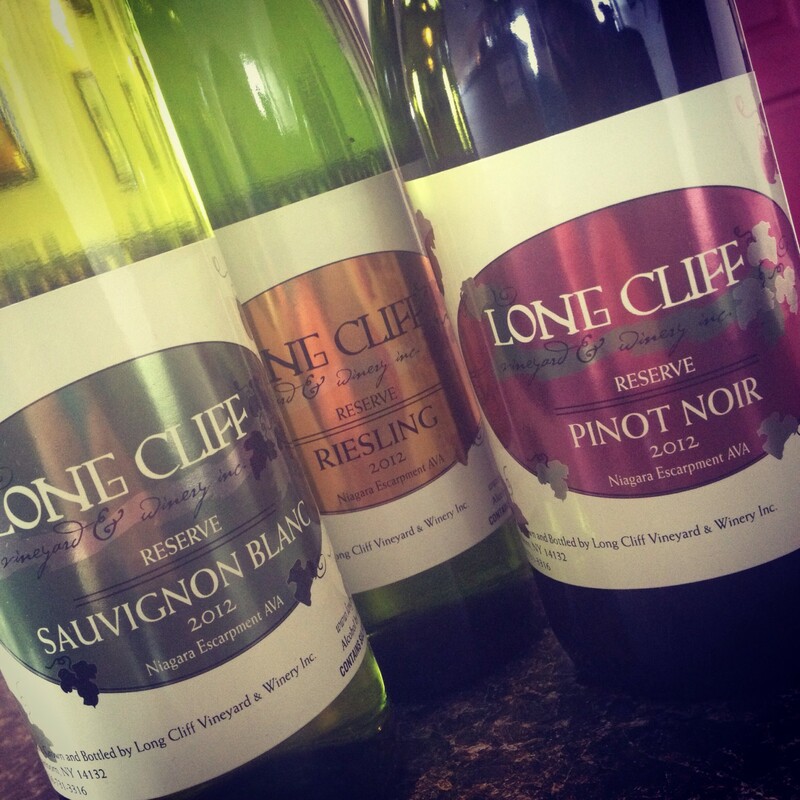 At our first ever Nouveau Night, we invite you to take part in Long Cliff Vineyard & Winery history! Our Winemaker’s Reception begins at 5:00pm, when Don & Kevin finally get to relax from harvest & gather for conversation around the fire pit. Pizza and wings will be provided, and your $15 cover charge includes the cost of your very own bottle of 2017 Leon Nouveau – which you’ll get the personal opportunity to bottle & hand label yourself, straight from the tank. Every guest will take home the exact bottle they bottled (with opportunities for photos) and the chance to have the label autographed by our winemaker. Please call us at 716-731-3316 to make reservations. We ask for payment in advance to provide a head count.